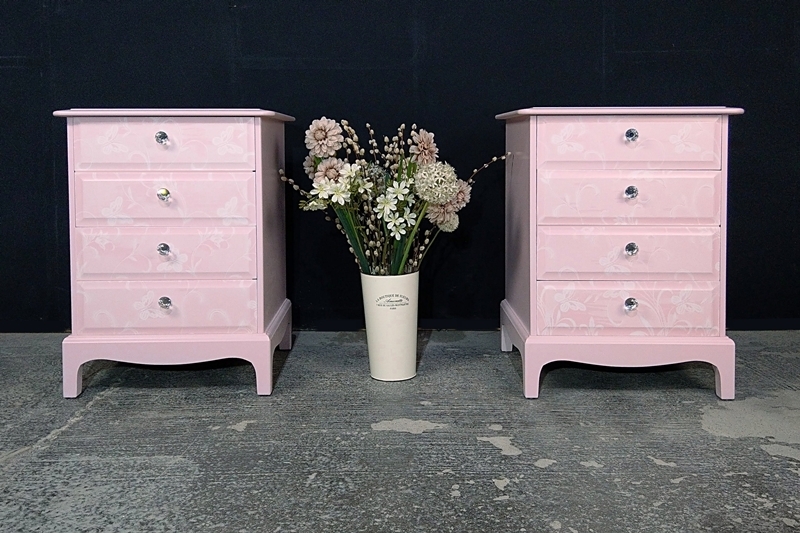 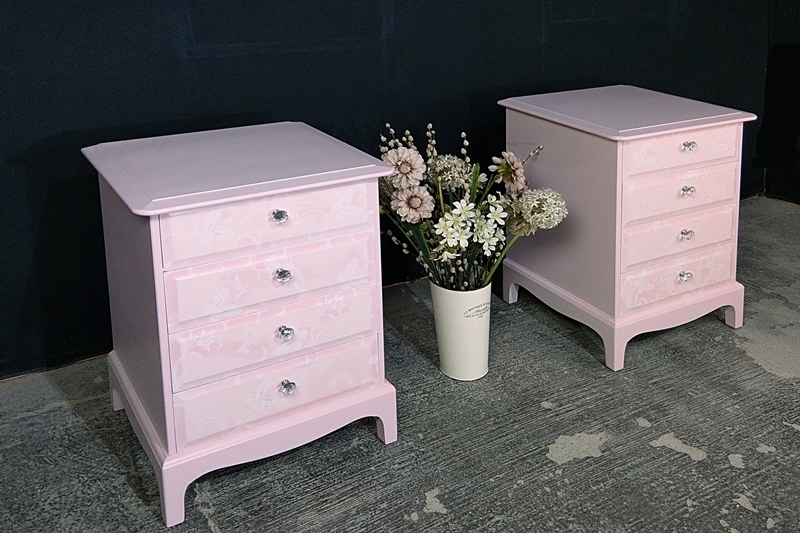 A pair of Stag Minstrel bedside tables, each having four drawers. 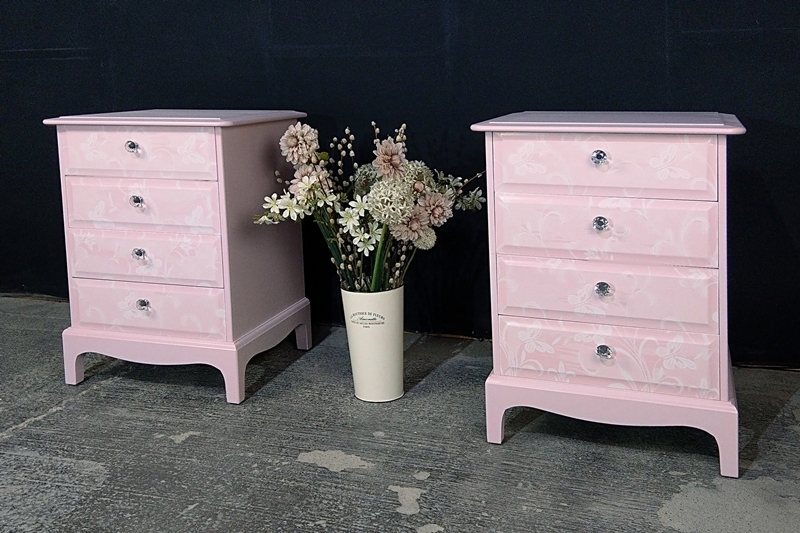 The drawer fronts have been given a "torn lace" paint effect. 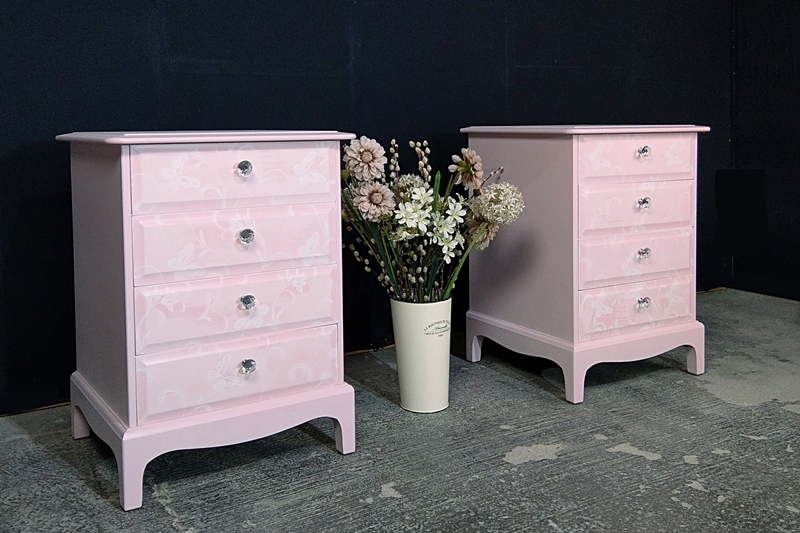 one coat lace effect acrylic stain in Rose Quartz over Pointing. We added new crystal drawer pulls.